Happy December, everyone! I, for one, am enjoying the winter holiday season and am looking forward to ringing in the New Year. Earlier this month, University of Washington’s School of Public Health graciously hosted Drs. Rebecca Block and Jonathan Todd, and myself. The three of use gave a presentation about OCHIN and ADVANCE to a group of about 20 researchers at the school, and we were also able to meeting with various students and researchers throughout the afternoon. There were many interesting topics discussed and ideas presented, and we look forward to collaborating in the future. Since our last update, we also proudly hosted our final Grand Rounds presenter of 2018, Dr. Rishi Manchanda, President & CEO of Health Begins. Dr. Manchanda gave an incredibly informational talk titled Moving Upstream: An Approach to Improving Care and the Social Determinants of Health. If you were unable to attend and would like a copy of the recording, please email William Pinnock at pinnockw@ochin.org. Season 3 of our Grand Rounds series will resume in January as we host Dr. Rebecca Perkins of Boston University School of Medicine & Boston Medical Center as she presents “Cervical Cancer Prevention Throughout the Lifespan: HPV Vaccination and Cervical Cancer Screening.” If you would like to register, please email William Pinnock at pinnockw@ochin.org. This event is part of OCHIN and ADVANCE’s larger initiative to honor Cervical Health Awareness Month, a national event that takes place in January. We’re excited to join forces with our partners at Health Choice Network and Fenway Health to bring awareness to cervical health all month long, so stay tuned for more information soon. 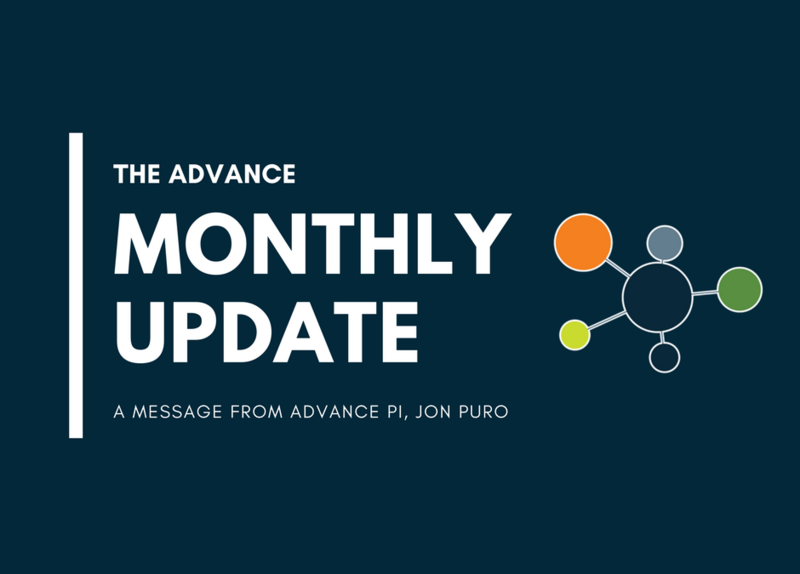 Finally, as we continue to evolve under the third phase of ADVANCE, we will be moving this update to a quarterly timeline with the next post coming in March of 2019. As always, thank you so much for your continued support of ADVANCE. We look forward to sharing more in the New Year.